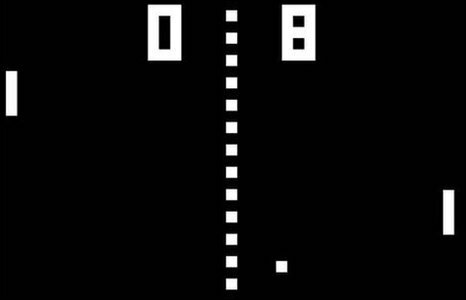 Pong was an arcade game so popular it reportedly sparked a coin shortage in the United States when it launched in 1972. It is credited with helping kick-start the multi-billion pound video games industry we know today and, according to its creator, it even empowered women. "This was at the time of women's liberation and things like that," said Nolan Bushnell, creator of the game and co-founder of the original home gaming giant, Atari. "The average woman could beat the average man. "In bars there started to be this whole sociology built up around the game in which it was ok for a woman to challenge a guy on one of the bar stools to come and play Pong." Pong offered a new kind of entertainment with with its black and white graphics and dials to control the on-screen action. But Bushnell admits they did not even intend to make it. I feel like I paved the way for Steve Jobs and Bill Gates. "It was meant as a training project for one of my engineers," he remembered. "And we kept fiddling with it and doing slight improvements. "One of the improvements all of a sudden made the game completely fun." At the time, Atari had been contracted by Bally Technologies - a company now based in Las Vegas and specialising in casino gaming - to create a driving game. Excited by his new game, Bushnell offered Pong instead. "We thought [Pong] is so fun, maybe they'll take this and it will fulfil our contract. "They said 'no, we want the driving game'." Undeterred, they convinced a bar in California to install Pong. It went down a storm. "We built 13, and sold them for cash. Then we built 45, and sold them. The rest is history." In its early days, each machine was drawing an average of $35-$50 a day - well above the average for a coin-operated machine. But it was two years later when Pong truly took off - on both sides of the Atlantic - when Atari released a version which could be played at home through a regular television set. "We had so many more orders than we could fulfil. "We had no factory, we had no process, we had no systems in place. And we were young - we were very inexperienced. "We were making it up as we were going along." Indeed, Bushnell's age was as groundbreaking as the game itself. "I know of no 20-something CEO of a major electronics company before me. "I feel like I paved the way for Steve Jobs, and Bill Gates, Michael Dell - all these guys came after me."